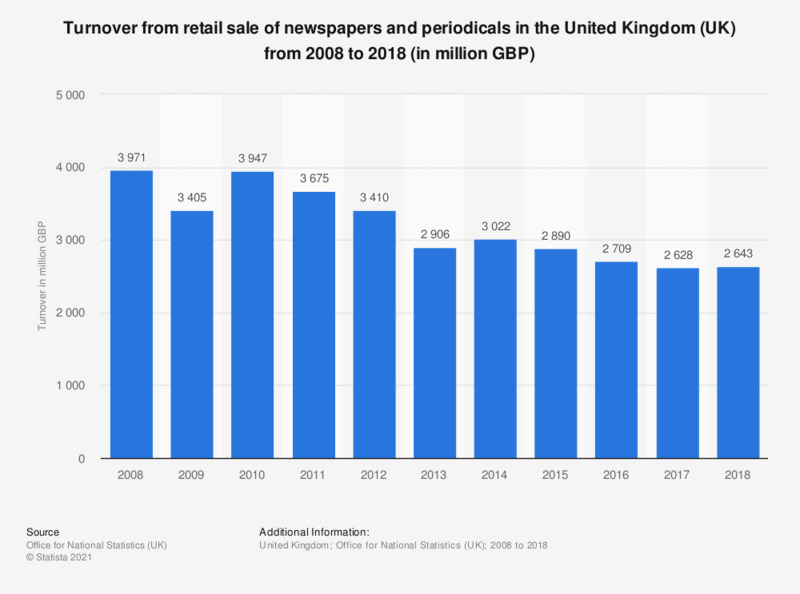 This statistic shows the total annual turnover of the retail sales of newspapers and periodicals in the United Kingdom from 2008 to 2016. Since 2010, turnover from newspaper and periodical retail sales has gradually declined. Figures reached their lowest in 2016, with a turnover of 2.7 billion British pounds. This was a decrease of over 1.2 billion British pounds since 2008. The reason for this decline in sales may be due to the increased use of technology for news related items.